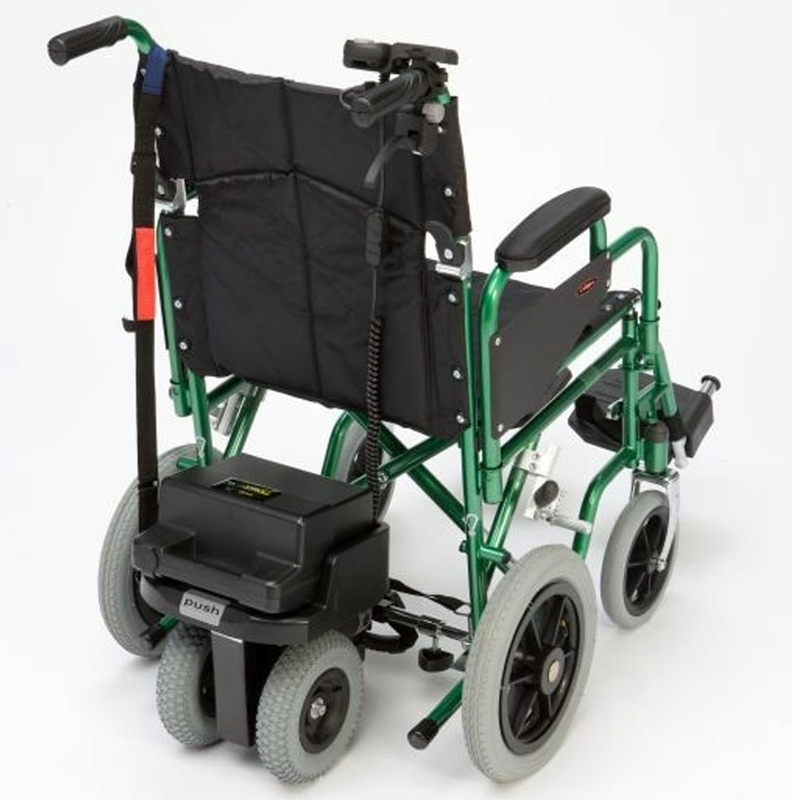 This excellent Powerstroll will turn most manual wheelchairs into carer controlled powered wheelchairs. 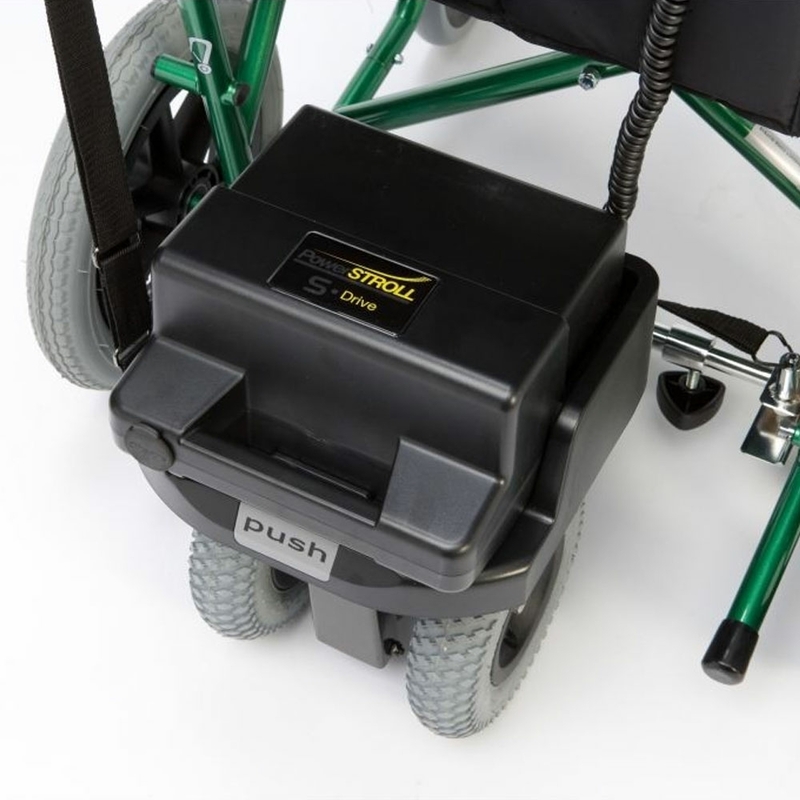 It takes the strain out of pushing a heavy wheelchair and makes easy work of hills, ramps and uneven surfaces. Its unique one click docking station (patented) means that it can be fitted or removed easily in seconds.